Luke Cage: Season 1 - Blu-ray Review - ReDVDit! Luke Cage is an American web television series that is based on the Marvel Comics character of the same name, and follows a former convict with superhuman strength and unbreakable skin who fights crime in Harlem. It is set within the Marvel Cinematic Universe, sharing continuity with the films and other television series of the franchise. The first season was produced by Marvel Television in association with ABC Studios, with Cheo Hodari Coker serving as the showrunner. 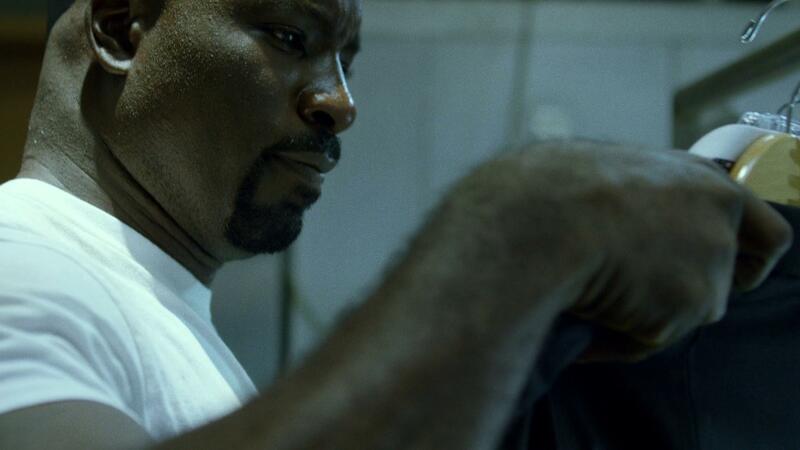 Mike Colter stars as Cage, reprising his role from the series Jessica Jones. He is joined by principal cast members Mahershala Ali, Simone Missick, Theo Rossi, Erik LaRay Harvey, Rosario Dawson, and Alfre Woodard. 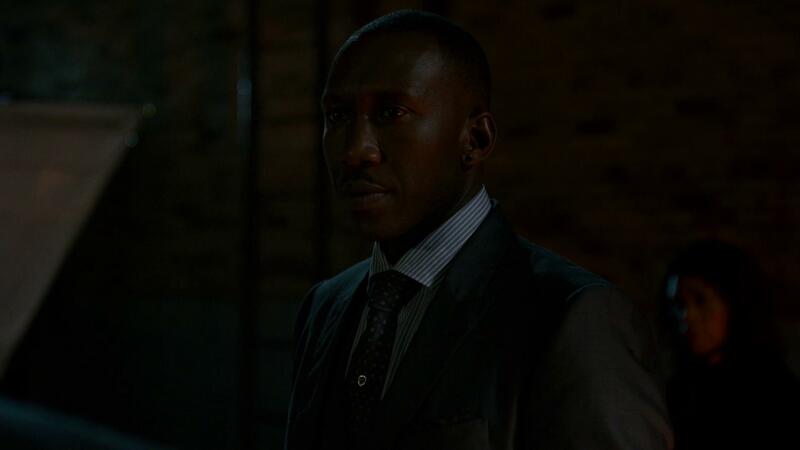 Luke Cage entered into development in late 2013, and Colter was cast, to appear in Jessica Jones and star in Luke Cage, in December 2014. Production took place in New York City from September 2015 to March 2016, with the season exploring race and politics while looking to replicate the unique atmosphere and culture of Harlem. 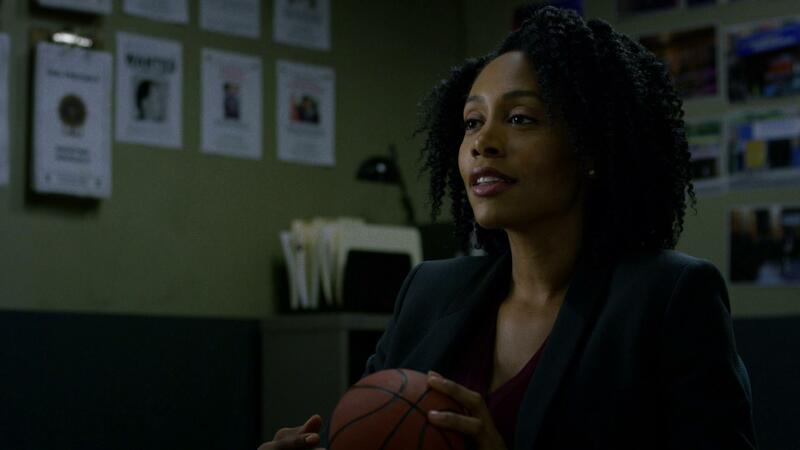 Coker especially emphasized the muse of music: Adriam Younge and Ali Shaheed Muhammad composed a “90s hip-hop” score; and various artists give onscreen performances in the fictional nightclub Harlem’s Paradise throughout the season; and each episode is named after a Gang Starr song. Visual effects were provided by FuseFX, and included depicting Cage’s abilities. 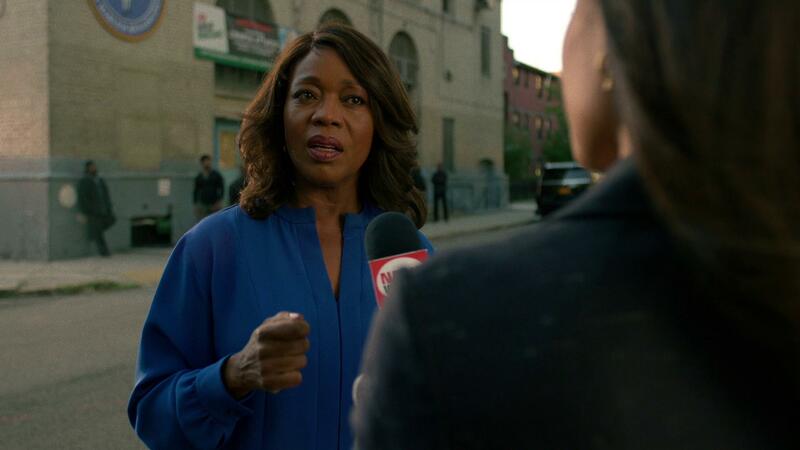 The first two episodes of the season premiered in Harlem on September 28, 2016, with the full season of 13 episodes released on Netflix on September 30 to an estimated high viewership and positive reviews, particularly for its first half. Critics praised the cast, 1970s style, music, and approach to racial issues, while its pacing and some of its writing was viewed as some of the series’ shortcoming. The first season won several awards, including a Primetime Emmy Award. A second season was ordered on December 3, 2016. 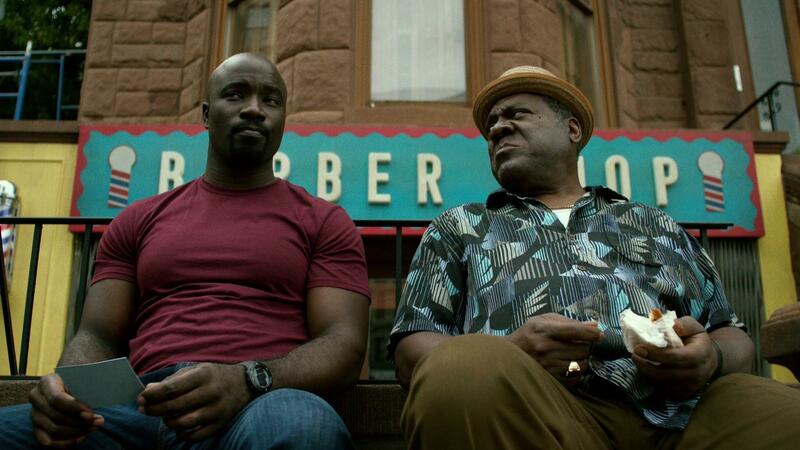 Luke Cage: Season 1 started out really damn strong. Perfectly providing a good visualization into some parts of Harlem with a really damn good storyline that immediately starts off with a good foundation. 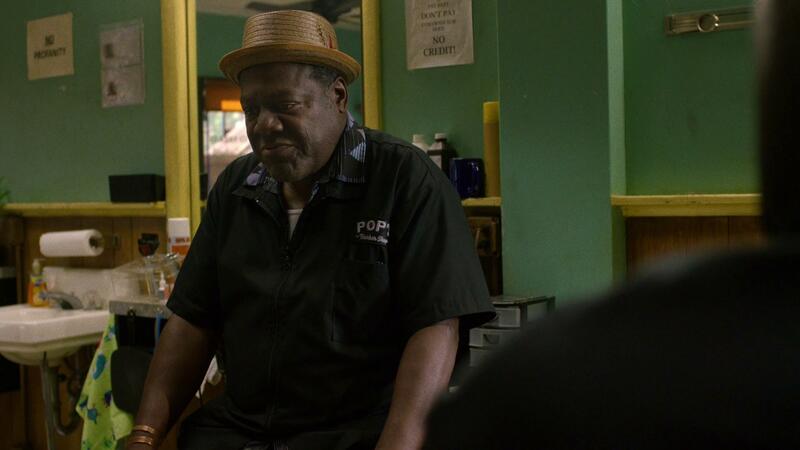 Picking up right from the end of Jessica Jones, we’re taken right into the center of Luke’s life and his job at Pop’s Barbershop. As we continue to learn more about the title character, we see that there’s continued racial tension within a community of people who are really just trying to make the best of every day. While the story that this series presents is really nicely done, the overall pacing of the series could’ve been a lot better. It felt that there was a lot of unnecessary pieces to the story that could’ve been replaced with even more information within the timeline (trying to avoid spoilers). Luke Cage: Season 1 looked absolutely phenomenal as it played out across my living room television. As my wife and I sat down to watch this, we couldn’t help but comment to each other about the clarity of the pictures. Providing a very clean look into inner-city Harlem, the various clubs and area businesses; the picture was really well done. Even the special effects that were implemented to accentuate Luke’s abilities looked to be really well done and offered a considerably more real aspect to the character. Packaged with a DTS-HD Master Audio 5.1 audio track Luke Cage: Season 1 does everything that it can within its power to offer an all out immersive experience for its viewers. Definitely making use of all of the channels within the technology, my wife and I felt as if we were right in the middle of everything. While the audio quality was clean, clear and easily understandable without any volume adjustments required; I couldn’t help but think that this series could have sounded significantly better with either a 7.1 audio track of even a DTS:X audio track to help in adding emphasis to the more powerful sequences. 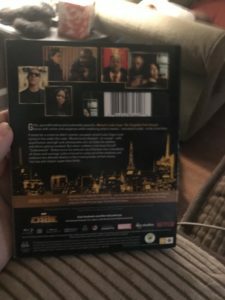 Luke Cage: Season 1 comes packaged in a two-disc Blu-ray amaray case. Within that case are the four Blu-rays, two stacked on top of each other on both sides. Each of the discs feature a different piece of artwork that’s relative to the series and differs from that of the case art. There are no DVD copies included within this release nor are there any digital copy redemption pamphlets. A slipcover has been provided during the initial run of this release that features the same artwork as the case art. The packaging of this release could have been done better, since it is a four-disc release. The use of the middle section to secure Disk 3 and Disk 4 would’ve added an increased amount of security and reduce the risk of scratching the disks regardless of how resilient Blu-ray discs are. Luke Cage: Season 1 does include a single special feature that allows for a continued look into the behind the scenes work of the series. While it basically covers a day behind the scenes, the special features that are available are considerably minimal. Included with this release is the special feature titled Offstage At Harlem’s Paradise. I am really glad that we were given the opportunity to review Luke Cage: Season 1. 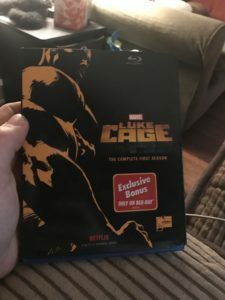 With having only previously seen Jessica Jones, I was familiar with the character and I was personally waiting for more episodes of Luke Cage to become available before I sat down to watch it. 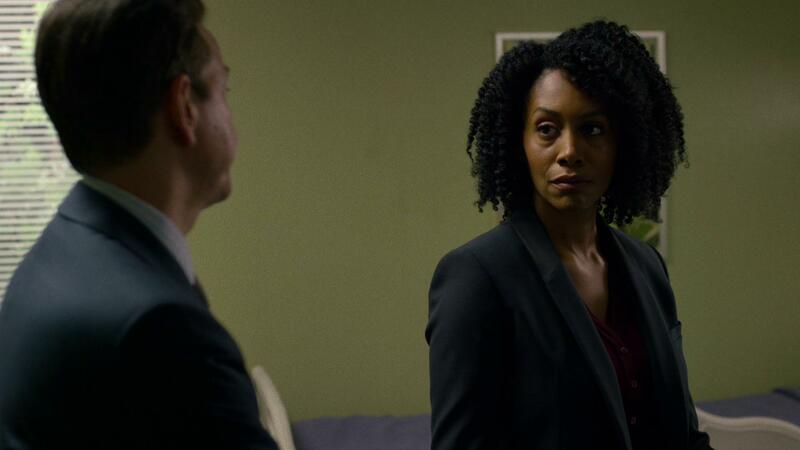 The series at play here provides a really great storyline that starts off with a really strong foundation and unfortunately starts to slowly fall apart as we near the last episode of the season. Despite having some issues with the pacing of the series, overall the experience that’s been provided was really great. The visual and audible experience that the Blu-ray release provides was really well done. While it could have been better had they gone with either a 7.1 audio mix or a DTS:X track, the audio was clean, clear and easily understandable without any manual adjustment of the volume levels. Special features for Luke Cage: Season 1 were unfortunately minimal; however, the lone piece that has been included does offer some insight into the work that went into making this series. If you’re considering picking this release up for your collection, I’d definitely recommend it as I feel that it’s not only worth checking out. But, it also will complete your collection if you’ve been collecting the Marvel television series as they are released. After sitting down with this season, I can definitely say that I’m looking forward to see what happens during the upcoming second season. Luke Cage: Season 1 is now available on Blu-ray and DVD from your preferred retailer.